Born in Munich, Germany, Elinor Carbone is a gifted and recognized watercolorist. 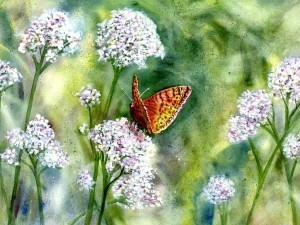 Even though her professional background is that of an illustrator, she has been developing her watercolor techniques over the past 27 years. 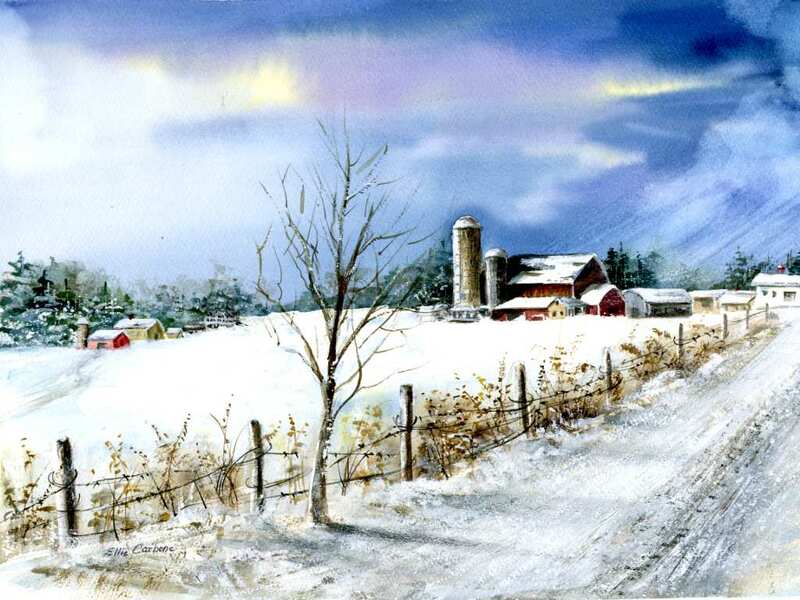 She has studied with famous masters of watercolor such as John Pike, Ron Ransom, Judie Wagner, Tony VanHasselt, and Tony Couch and has participated in many art shows. Her work has been exhibited mostly in central New York, where she has participated in exhibitions at the Skaneateles Art Festival, the Everson Museum, and the Parish Art Festival. 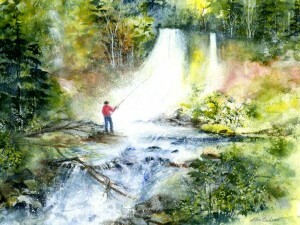 Her painting “On My Own Time” was awarded Best of Show for watercolor at the SUNY Health Science Center in Syracuse, New York. Event: Grand Lake Stream Folk Art Festival. When: July 30th and 31st, 2016. Time: From 10:00 am to 5:00 pm. Admission: $8 one day | $12 two days. Location: Princeton, Maine – near the center of town on Water St. (see map below). She will also be at the ANNUAL BLUEBERRY FESTIVAL (August 20th and 21st) in Machias, ME; and at the FREEPORT FALL FESTIVAL at L.L.BEAN (October 1st and 2nd) in Freeport, ME. 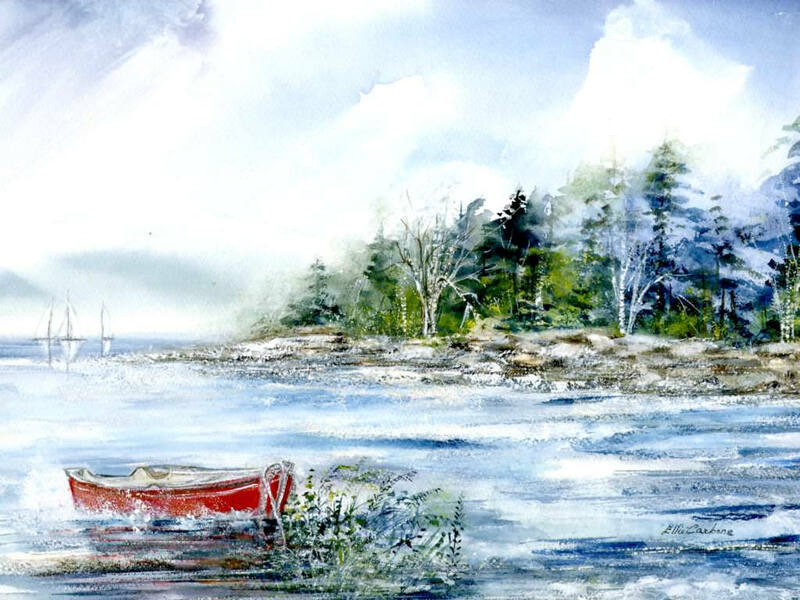 Ellie offers affordably-priced watercolor workshops throughout the year in Maine in the summer months, and in Florida during the winter months. 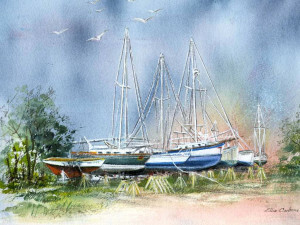 To view a schedule of her upcoming workshops, please visit her Watercolor Workshops page. Discover more about Elinor Carbone and her art on her website www.elliecarbone.com. 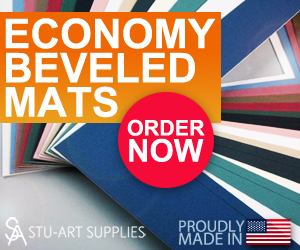 Ellie purchases our Museum Quality beveled mats in a variety of sizes to exhibit and market her prints.